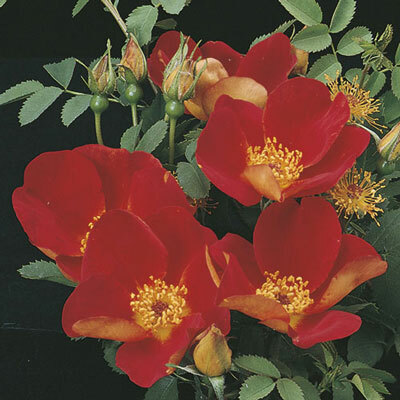 (Rosa foetida bicolor) Old-fashioned clusters of single-petaled flowers with a blinding color can literally cover this tough shrubby species rose. Its natural hardiness and brilliant color make it popular in harsher climates. Best in harsher climates. Only available budded.